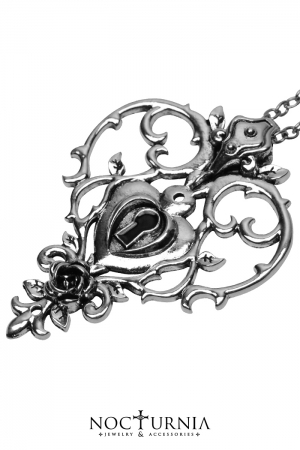 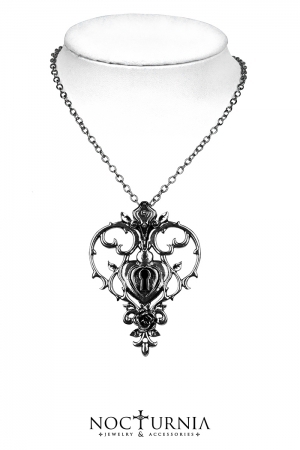 A very elegant necklace silver or black. 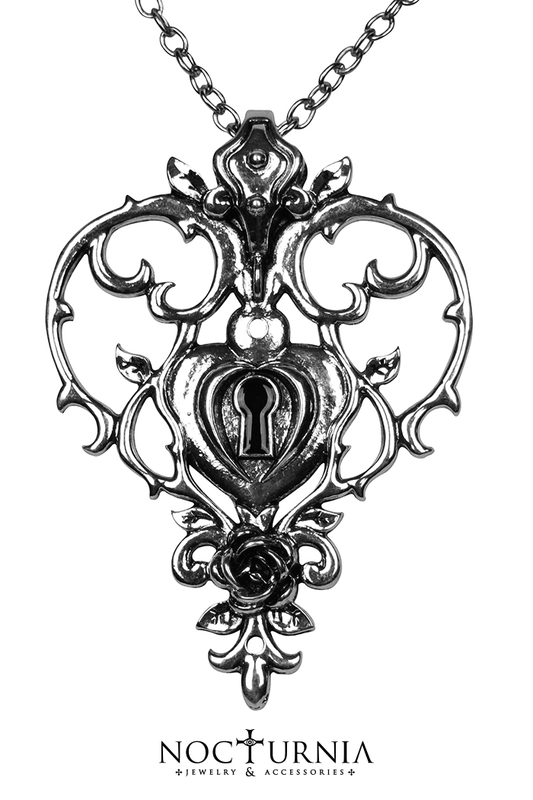 A thonrs heart with a lock in the middle on a tiny rose, can open for you the door for the most secret garden or lock your most deep secrets. Depth: 0,7 cm; Length: 5 cm; Height: 7 cm;Weight: 30g.